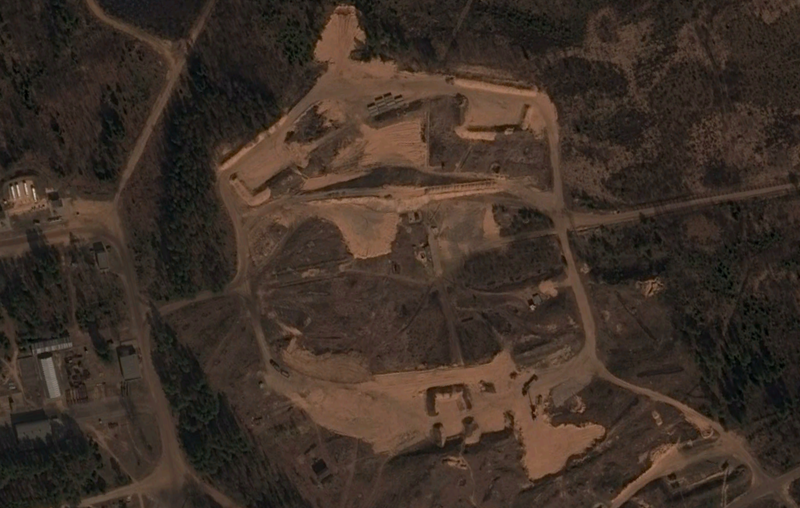 Belarus has partially converted the S-200 surface-to-air missile site at Polatsk to support the highly capable S-300 system, commercial satellite imagery reveals. As NATO beefs up contingency planning for the Baltic States in order to deter any potential aggression, plans for a Joint Regional Air Defense system between Belarus and Russia continue to show signs of progress. DigitalGlobe space snapshots from 2015 show new “C” shaped drive-through revetments and a raised berm for a mobile engagement radar at the S-200 site at Polatsk. The conversion of the SAM site’s northern launch area has been ongoing since 2014, according to historical imagery. The south launch area, not pictured, still had all six 5P72 semi-fixed rail launcher in place with two 5V28 missiles loaded. A single 5N62 Square Pair radar remained at the nearby bunker complex. Russia has said for the past several years that it was ready to send close allies like Belarus additional S-300 systems. Kazakhstan was also reported in December to have received further batteries. Recent satellite imagery however offers the first tangible signs that the resurgent power may be following through with statements that echo as far back as 2011. 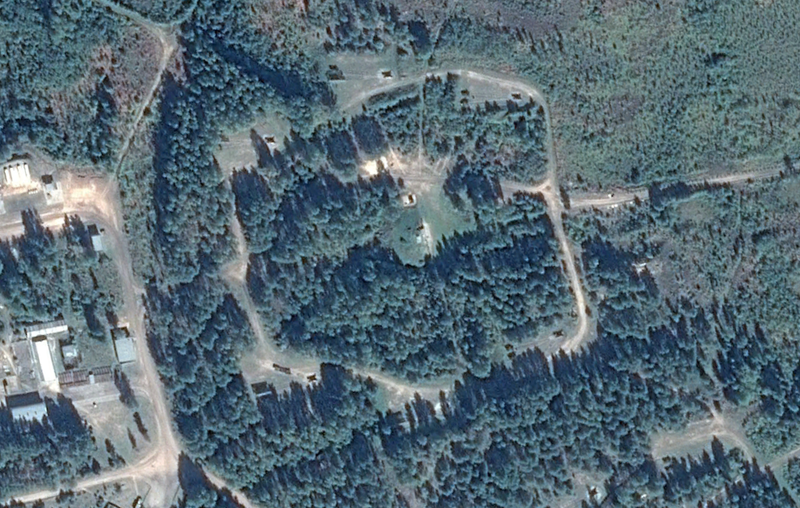 DigitalGlobe satellite imagery of the S-300 site in Polatsk from 12 April 2015 (link to Google Maps). The site at Polatsk joins two others at Brest and Grodno whose new revetments will probably support the advanced missile defense system. But, unlike those sites, which showed no units in residence, imagery from April 2015 showed a battalion of four TELs parked in a support area along with several bermed missile reloads. It’s likely, given the date of the imagery, that the system is fully deployed in the newly prepared firing positions. In total, new construction activity over the last two years suggests Belarus could add up to four battalion, corresponding with media reports. That said, we don’t know if the Polatsk unit is a recently delivered S-300 battalion from Russia, or if this is a jumped Belarusian S-300 system. We currently haven’t acquired a full set of imagery of all current S-300 units deployed in Belarus. Regardless, the new S-300 position at Polatsk, located approximately 80 kilometers from the Latvian border, will help increase overlapping fields of fire with existing S-300 deployed north and northeast of Minsk. Those battalions were in residence as of October 2015.
how dare they come, on their own territory, that close to “Nato”? Should they have asked for permission? how dare they, on their own territory, come that close to NATO? They should have asked for Stoltenberg’s permission. Why is NATO concerned by S300 in Belarus, Khazakhtan, Iran etc? That doesn’t allow the strategy of a first ‘preventing’ strike? What’s a pity. The threat to Baltic exists only in the rhetoric of Baltic politicians.